Minister of Foreign Affairs, Børge Brende, delivered a strong opening to Global Outlook 2017. Global Outlook Norway is an annual arena for debate aiming at strengthening the role of business, political and academic leaders through enabling them to play a key role in being part of the solutions needed for a more sustainable development. Business can and should play a leading role in shaping the global, regional and industrial agendas and this arena will provide the necessary knowledge to do so. Global Outlook Norway is an initiative taken by three business clusters GCE NODE, the Eyde-cluster and Maritime Forum Sør. The Norwegian Ministry of Foreign Affairs and local partners and the three clusters sponsors the initiative. 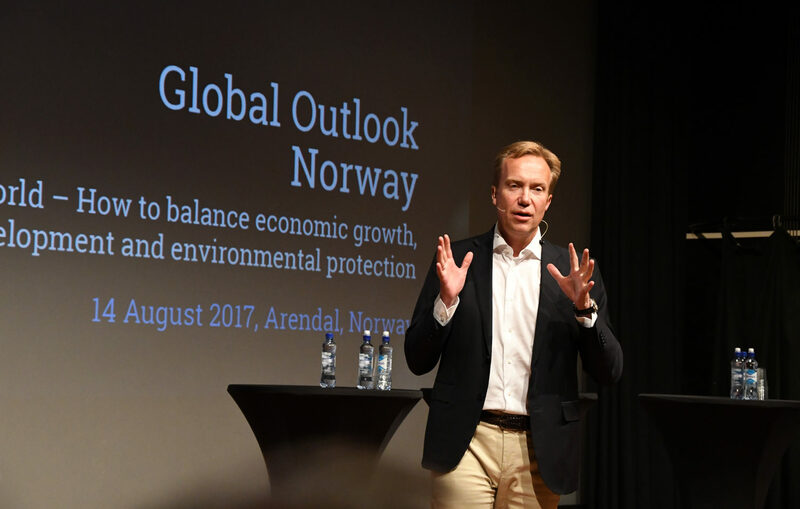 Global Outlook was arranged for the first time, on August 13th 2014 – as an official part of the program in the Arendalsuka, a well-known week of political and societal debate held in the town of Arendal in the South of Norway.